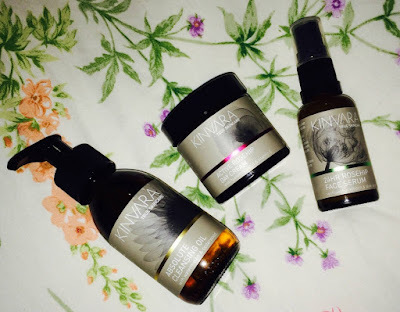 Today we’re welcoming Avril from A Paler Shade of Beauty to tell us all about Kinvara Skincare and their natural beauty products. Kinvara Skincare is a fantastic Irish-owned natural and organic skincare company founded by fellow scientist Joanne Reilly, PhD (much kudos to a fellow scientist). 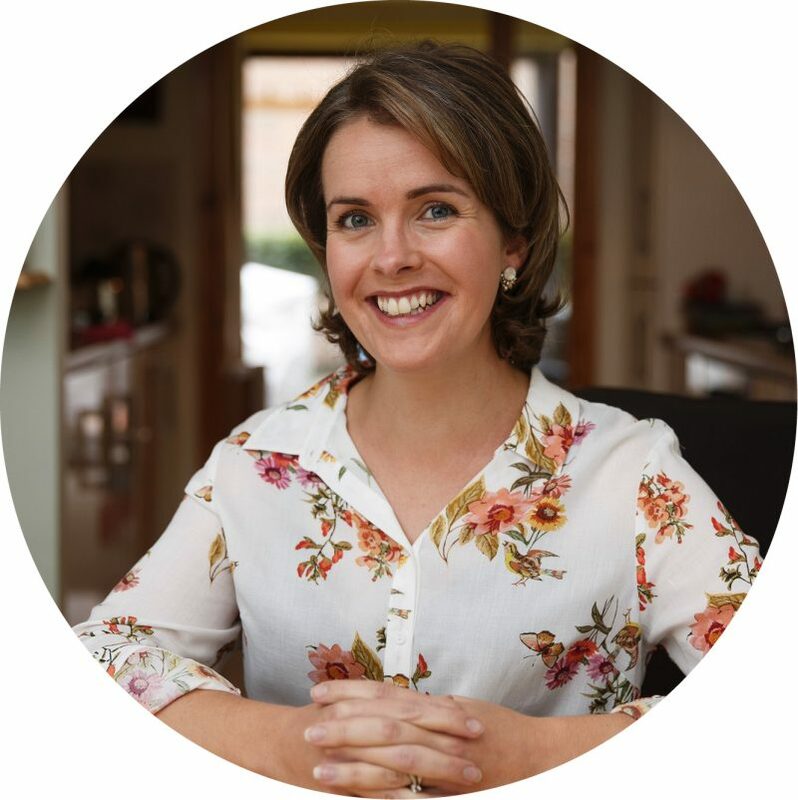 I had heard raving reviews about her skincare range so I decided to contact her introducing myself and explaining my love for all things natural skincare. She very kindly sent me the absolute cleansing skin oil (€19.95), 24hr rosehip face serum (€29.95) and active rosehip day cream (€25.95) to try out. 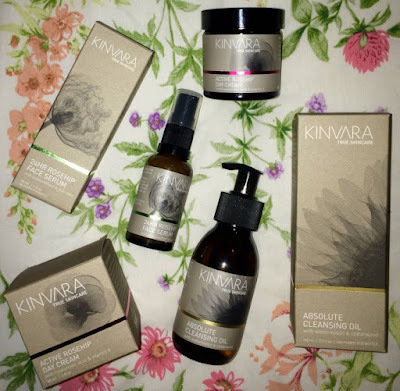 “At Kinvara Skincare we combine tradition with scientific innovation to harness and distill the power of plants, seaweeds, vitamins and minerals into fantastic products for your face and body. 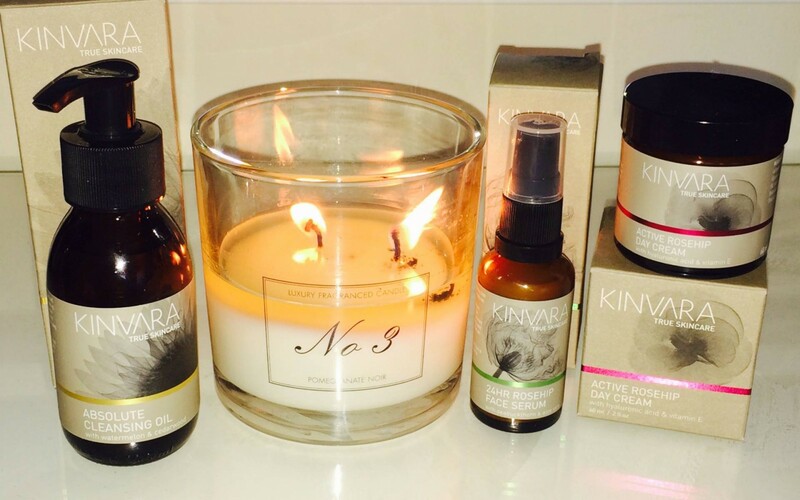 Each ingredient is chosen with care and after much research for a specific purpose – you can buy Kinvara Skincare products with peace of mind knowing you’ve got a quality product you can trust”. The brand is also extremely eco-friendly using only recyclable materials in its packaging. They also use organic, fair trade and locally-sourced Irish ingredients where possible. 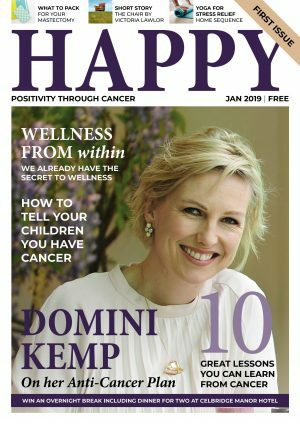 The ethics behind the brand really appeals to me and I would love to some day pay them a visit to check out things for myself and of course meet the super inspiring Joanne. I have been so bold (slaps hand) with everything going on, these lovelies had been put aside to review at a later date. I know, I know, it is no excuse, but now I am all settled again and can catch up on the mountain of work that awaits me. 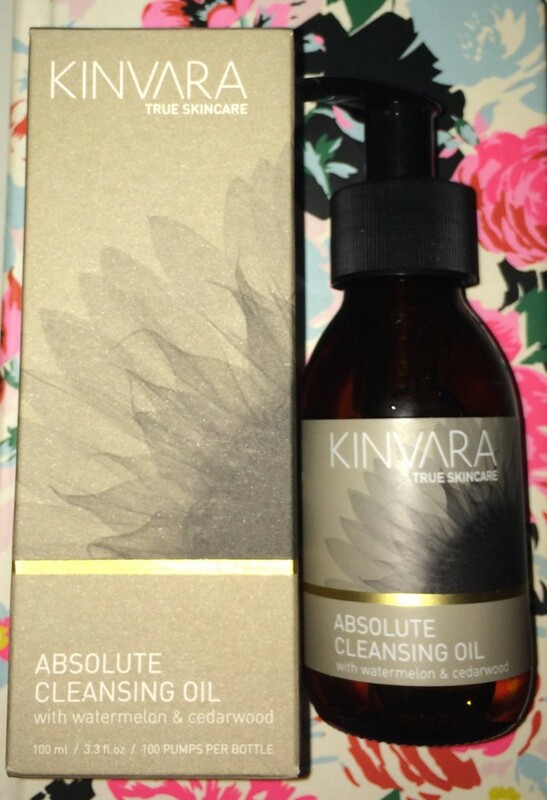 The absolute cleansing face oil is a 100% plant oil based hot cloth cleanser. This cleanser even removes stubborn waterproof mascara to leave you with clean soft skin. What I love most about this product is that it does not dry out your skin. The mixture of beautiful oils leaves a lovely dewy glow on the skin and is gentle to use even on the most sensitive skin, like my own. I generally massage two pumpfuls of product onto my face and wipe it all off with a Muslin cloth that has been soaked in nice warm water. You can literally feel the layers coming off your skin, leaving it able to breathe again (I love that feeling). 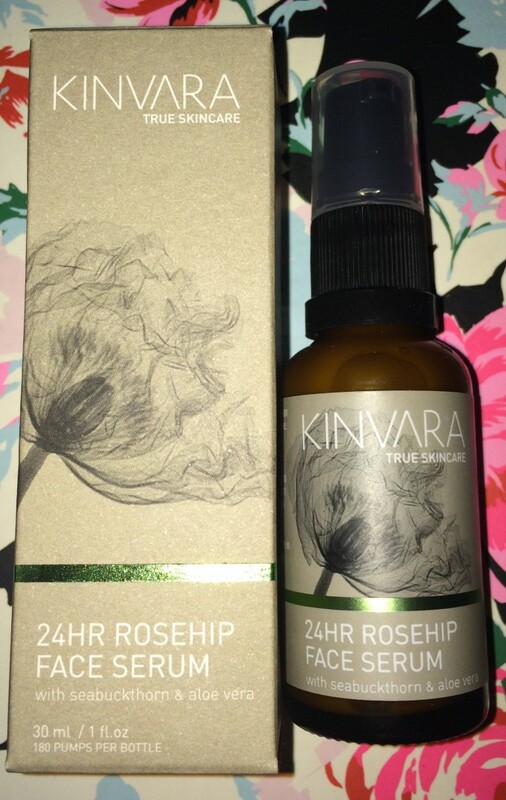 The 24hr rosehip face serum is fast becoming one of my hero cult products. I honestly do not know how I lived without it until now. One pumpful of this amazing concoction of omega oil, carrot seed, vitamin E, sea buckthorn, glycerine, aloe vera and tea tree oil is all that is needed to help comfort, protect and hydrate the skin. I apply this after serum cleansing and gently pat it onto the skin. It is very concentrated so 1-2 pumpfuls is all that is needed. It dries in fairly quickly and can be used on all skin types. 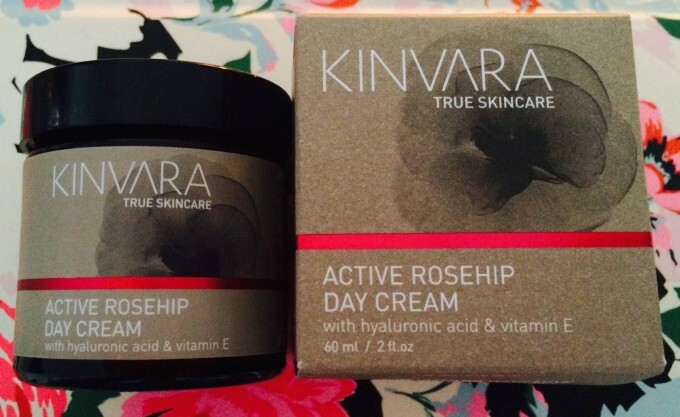 Finally to really add the cherry on top of a powerful skin care routine, I highly recommend using some of the active rosehip day cream. This cream is enhanced with hyaluronic acid (one of the best ingredients for dehydrated skin) which helps lock in and retain moisture. The cream is also lightweight and easily absorbed leaving a nice matte finish to the skin. It is great to use as a base under makeup. Well as you can see, I literally fell head over heels in love with Kinvara Skincare. 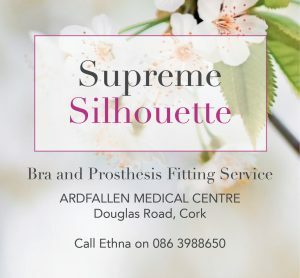 I am really proud that they are an Irish company and also that their products actually work. 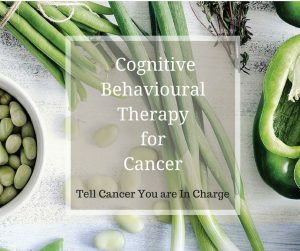 I honestly could not recommend them highly enough. I know price-wise they seem a little expensive but with the quality of each product and the teeny amount that is needed for use, I really think they are worth investing in. Kinvara also do a great Sample Pack containing these three products for €6.95 which would be a great way of trying them out before you commit to buying the full-sized versions. I have been using these products for a little over three weeks and have barely made a dent into them. A little certainly goes a long, long way. Now I want to try out their newly released eye cream. If it is anything like their other products it is bound to be a winner. You can read more from Avril on her blog, A Paler Shade of Beauty. I haven’t tried any of Kinvara’s other products, but I tried their face serum after I read about it somewhere else and I love it! I don’t know how I lived without it either, lol.